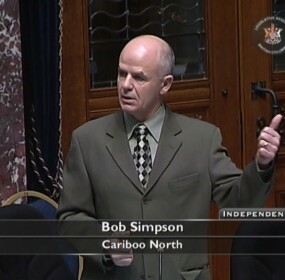 Bob Simpson MLA: Does BC Still Have a Climate Change Agenda? All six Liberal leadership candidates say they support the HST, as they lay out their plans for the province's future for business leaders. Kevin Falcon’s merit pay proposal for teachers has been met with much derision, but it’s found at least one fan in Delta School Board Chair Dale Saip. The British Columbia government is yet to seek a warrant so it can conduct its audit into Brian Day's private surgery clinic. Christy Clark had a very powerful and impressive performance this morning. Christy Clark is expected to formally enter the leadership race Tuesday or Wednesday.